Anyhoo, this is the third novel I told you about, one that's well worth your time. This book would also make an awesome Christmas gift, especially for those who love anything Amish. (Did I mention that I'm an eclectic reader?) So here's a little 4-1-1 on The Snow Globe. Ho! Ho! Ho! Victor Petersheim has left the Amish and works on a river boat on the Mississippi River, spending three months on the river then having three months off. During his off-work months he returns home to his Amish community and helps out on his grandparents’ farm. When he returns home after his most recent absence, he discovers his grossmammi has developed health problems and they’ve hired Esther Beachy to be a “mother’s helper.” Victor is unsettled by this woman living in their home, but has to accept it. 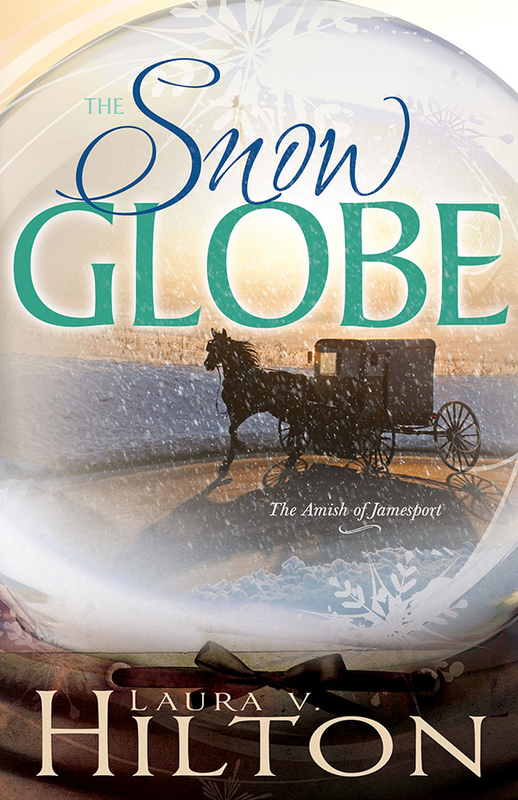 Esther loves listening to Victor’s grandmother’s stories and while puttering around in a store while the grossmammi’s in the hospital, she discovers a snow globe that depicts an area where the Petersheims used to live. She buys it as a gift for the grossmammi to cheer her up during her hospitalization. Victor is touched by Esther’s gift and her care for his grossmammi, and strives to be friendlier. Will Esther’s gentle heart draw him back to the community? Or will he return to the river once again?